This post originally appeared on the Case Foundation blog as part of our AmeriCorps Alums Be Fearless Series on November 14, 2012. Wait, you mean I’m not done? I looked up at the platform. How do I climb up there from here? Instead of dwelling on this question, I focused on one thought. I didn’t come this far to give up. I reached for another grip and proceeded to pull myself up. When I realized I didn’t have a steady step for my foot, I climbed back down and reassured myself. I know I can do this. Bring it on. After trying a few different approaches, I found one that worked and finally hoisted myself onto the platform. Finally, I was able to stand up. But I wasn’t alone, as other Fellows joined me. Who knew that this experience set the tone for the rest of my year of service and beyond? It was a time of learning, of growth, and of change. My horizons expanded; my boundaries, redefined. Rather than resist change, I let it push me in new directions and usher me to new heights. When given a budget of zero to organize a celebratory event for volunteers and alums, I secured free space and complimentary appetizers, solicited $2,500 in monetary and in-kind donations within two months, and achieved a record turnout of 100 attendees. When my supervisor left for a hard-to-turn-down opportunity halfway through my service year, I assumed many of her responsibilities and carried the team forward as the organization recruited a new manager. When I was presented with a new way of measuring program effectiveness, I embraced it. Using this new method to describe the program’s impact in several award applications, I ultimately won the program and organization two honors. But that’s only half the story, for I could not have accomplished so much without the help of my fellow Massachusetts Promise Fellows and the Fellowship staff. When I started out searching for places that would donate space and in-kind donations, I asked other Fellows for advice and leads. When we Fellows identified a common goal to increase event attendance at our respective organizations, we brainstormed ideas on how to make it happen. When I was worried about my supervisor leaving, my Senior Fellow treated me out to noodles and dumplings and empathized with me. When I just started using a new model to describe program impact, I asked a former Fellow for tips and guidance. When I completed award applications for my host site, I ran them by the Fellowship staff to add another perspective that would strengthen the applications. No matter what questions I had or what challenges I faced, there was always someone in the Fellowship who could help. Now, whenever I encounter a setback, I would remember my journey on the alpine tower challenge. I would hear the cheers, reassure myself, remember the breathtaking view from the top, and realize that I’m not alone. Indeed, together we can overcome anything. 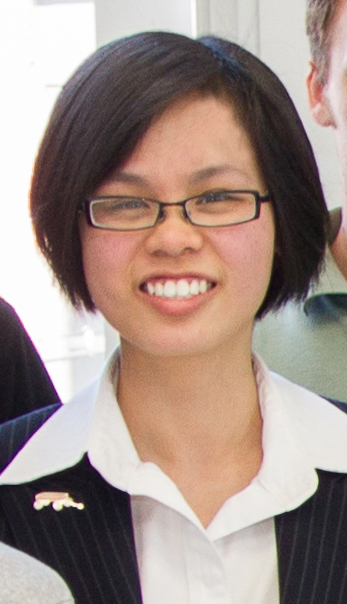 Anita Yip is a proud Massachusetts Promise Fellow and AmeriCorps Alum. In 2012, she won the Eli J. Segal AmeriCorps Alums Entrepreneurship Award and became a Segal Fellow. She currently works as the assistant director of corporate and foundation relations at her alma mater Wellesley College. This is the fourth in a series of blogs we’ll feature from City Year and AmeriCorps alumni about their journeys to Be Fearless through service. Read the first, second, and third posts.